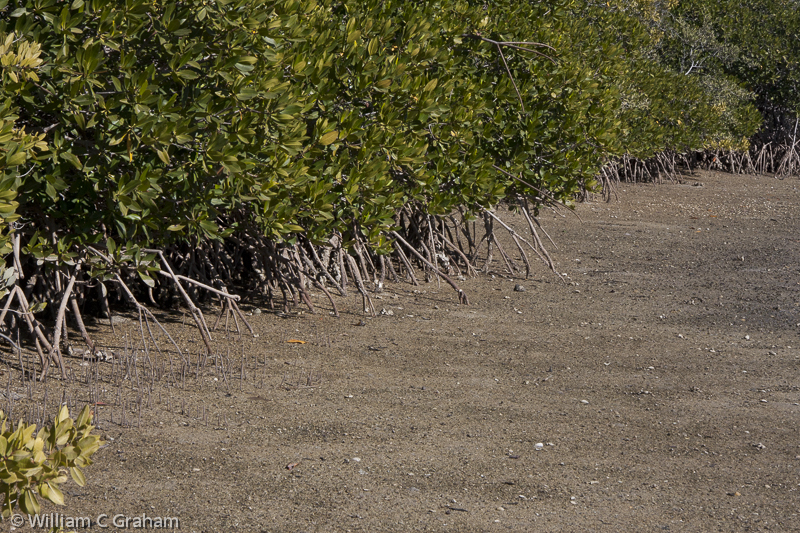 This post is the third in a series of blog posts on the subject of connections in Nature; how man is gradually destroying these vital connections that keep him alive; and possible ways to work with Nature to conserve these extremely important connections. The material in this series will be useful to all of you who are stewards of Nature who are looking for ways to conserve Her. The information will be helpful to environmental educators as they plan lesson sets. Students can use these blogs to develop their own presentations and projects. Soon, I will be reorganizing this material into lesson plans. A sandy beach and its adjoining sea are pleasures that we all enjoy. We dig our toes into the sand, wade in the water’s edge, gather sea shells, and watch the antics of sea birds. As we see, touch, smell, or taste these pleasures of Nature, our response is both aesthetic and spiritual. Rarely do we think about the beach as an interrelationship of ecosystems that are essential to the very existence of many creatures that might include ourselves. From the basic components in the cell of a sea gull’s body to the expanse of our beach, there is a hierarchy of systems where each system becomes part of a larger ecosystem. All of these systems serve to transport and transform energy. As part of this highly complex collection of interacting systems, we see connecting mechanisms that bind these energy flow functions together. These connecting mechanisms, in themselves, are systems. There is a special name for these systematic connecting mechanisms. They are called “ecotones” or “edges”. They are fuzzy and dynamic boundaries between habitats. They are habitats themselves which contain hierarchies of ecosystems all the way down to the molecular level. In this post, we will use the word “edge” to describe these important connecting boundaries. Edges connect adjacent ecosystems by facilitating the flow of energy, material and the organisms that cross ecosystem boundaries. Our sandy beach is an edge that serves to connect the sea with the land. 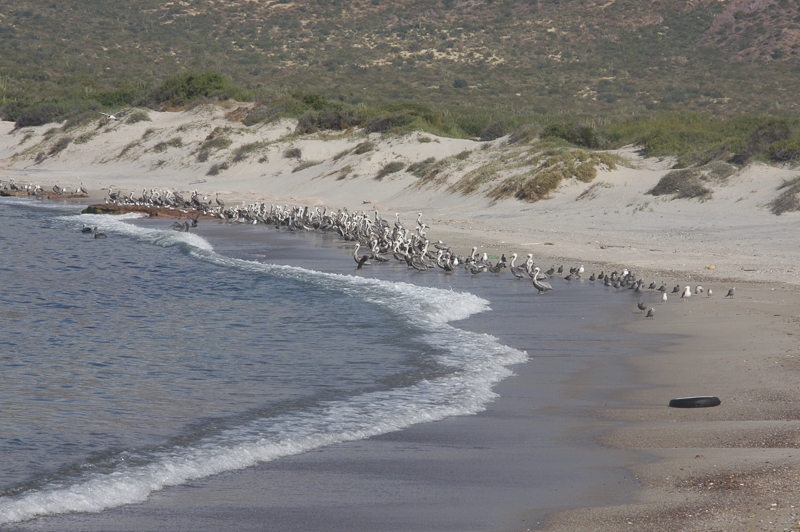 Our beach, in itself, is a hierarchy of ecosystems which contain their own edges. Many beaches are rocky inter-tidal zones. Here, wave energy, wind energy, and weather systems move across the boundary as they move onshore. These inter-tidal zones are affected by both the moon-driven tides and the weather systems of the much dryer onshore terrain environment. They receive energy from the sun. Organisms, such as the anemones that live in the inter-tidal zone, must deal with being both wet and dry. They must also deal with being hot then cold. Some organisms also have to deal with both salt water and fresh water tolerance as well as the forces of wave action. This inter-tidal zone is not a simple dividing line. It is a unique hierarchal ecosystem that contains other ecosystems and interrelates with at least two other adjacent ecosystems. The boundaries are often nebulous and do change over time. The one common factor in all of this is that Nature’s vital energy is transformed and transported within the various systems that define our beach. In this post, I talk more about these interconnections which are “in-between” systems whose role is to interconnect with adjacent ecosystems and facilitate the transfer of energy and the transformation of energy from one ecosystem to other ecosystems. It is just as important to recognize and protect these connections as it is to preserve their adjacent ecosystems. Energy is the common currency within both living and non-living things. Without energy, there would be no universe. Without energy, there would be no you. A beach, a forest’s edge, or a mountain stream are all physical manifestations of Nature’s energy flow. That energy flow requires both transportation mechanisms to get the energy from one point to another as well as ways to transform that energy into forms that are useful to Nature’s living and non-living systems. 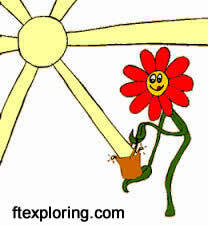 Perhaps the most obvious example of energy transportation and transformation in our environment is our sun’s energy. The sun emits waves of light energy in the form of photons which are received by Earth. These rays of photons strike green plants in the ocean and on land. The green plants, using a chemical compound we call chlorophyll, transform and store the light energy in a chemical compound we call carbohydrates – more commonly known as sugar. The plant becomes a chemical warehouse that stores these sugars. The energy flow process continues as animals (including ourselves) eat the plants. Animals chemically transform the carbohydrate’s energy supply into a chemical compound which is stored in our cells. This compound is called “ATP”. ATP is the chemical storehouse of energy that drives life in all mammals including ourselves. In this example about our sun’s energy flow, we can see various systems operating as edges to transport and transform vital energy supplies. The sun’s thermonuclear system transfers energy into a system of electromagnetic rays. Those rays of energy get transformed by a plant ecosystem. Animal systems transform the energy that is stored in plant systems. At every point along the path, some sort of connecting mechanism takes place. If we damage or destroy a connection, we damage or destroy one or more ecosystems in the chain. Most of the time, we cannot predict the overall effect of our damage. But, many times, we can identify the connection and take measures to protect it. Hopefully, you are beginning to see that we are dealing at a system level where many components within an ecosystem act to perform important changes in its stored energy. These ecosystems must be connected to each other in order to provide transportation and transformation services. Let’s amplify this important point by exploring another important ecosystem – our human body. At its most basic level, the human body is composed of cells which, in turn, contain many different organelles which provide various essential services. 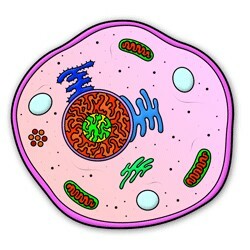 A human cell is an ecosystem. This ecosystem is bounded by a cell membrane which regulates the transportation of energy and chemicals to and from the cell’s internal ecosystem. Each cell is joined with other cells to form our organs such as kidneys or muscle tissue. Kidneys and muscle tissue are ecosystems. In turn, they are part of larger ecosystems which ultimately become an animal body which then becomes part of a larger ecosystems such as forests, oceans, and cities. Doctors of medicine are trained care for our body and to preserve the transportation and transformation connections within our body. Any doctor will tell you that these connections are highly complex and cannot always be controlled. But, you will receive advice from your doctor about ways to maintain the energy flow within your body and prevent bad things from happening to your body. You can become a “doctor” within Nature’s connecting ecosystems as you gain understanding about her ways of transporting and transforming energy. With this knowledge, you have the power to educate others. Through your efforts to educate and to act, you become a powerful link in the process of conserving Nature. Look for edges and study them !!! To help you out, I offer a little more detail. For educators who are reading this blog post, the process of identifying and describing a connection in Nature can become a useful assignment for your students. 1) Start by looking at any ecosystem such as a forest, a body of water, or a beach. A) What and where are the connecting links within this ecosystem? B) What do these links do? C) How do they operate? D) What would happen if a link were damaged or destroyed? 3) At each question, take time to look for detailed answers from experts. Make heavy use of the Internet. Then write out your detailed description of the link that you are studying. 4) Present your writing to others for examination, group study, and discussion as you refine your findings. By keeping a beach clean, you are helping to maintain the flow of Nature’s energy. By caring for a forest, you are helping to maintain the flow of Nature’s energy. By loving a river, you are helping to maintain the flow of Nature’s energy. By demanding to breathe clean air, you are protecting the atmosphere and helping to maintain the flow of Nature’s energy. In the next two posts, we will use the idea of edges in Nature to examine two man-made conservation strategies – wildlife corridors and biosphere reserves . Please be sure to join me. You can read more technical detail about edges at wiki. I have written a more general, earlier post on the subject of fuzzy borders. 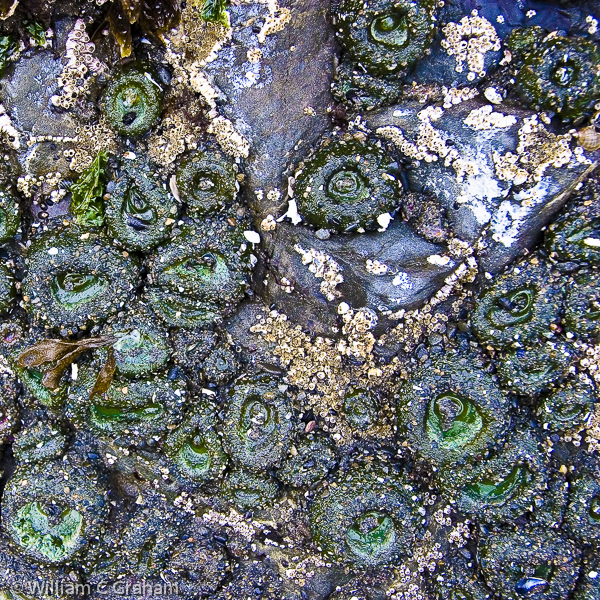 You might Google “tidepools” or “seashores” or “inter-tidal zones” for more definition of the fascinating ecology of tidepools. There is a very popular section in my blog entitled “Musings”. You can reach it by clicking on the menu tab near the top of my blog site. This area contains my growing list of posts that list web material that I have found interesting. You might stop by and take a look. You can follow my frequent flow of ideas, dialog, and posts on Twitter. My Twitter ID is “@ballenamar”. I also moderate a Google+ group called “Complexity Toolkit For Nature’s Stewards“. You are welcome to join us. Love the series and the ultimate lesson plan idea. Maybe we can chat more about your time frame on putting this all together. 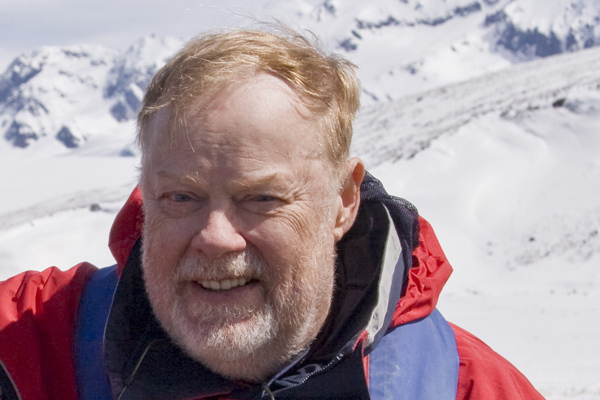 @dave – Hi Dave: Thanks for the comment. 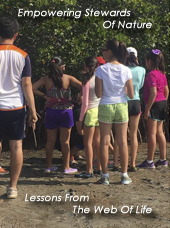 At present, I am working with one of my Mexican students and with an ecological group within the Mexican government to develop a lesson set on the subject of connections in Nature. My student is also in college so there is some time constraints. But, we did meet yesterday and an outline is about half completed. A final date is not yet set but I hope within the next month. THanks for asking.